"iPhone 6S plus thinks headphones are in. At first I thought my speaker stopped working, and then I noticed that it said "headphones" above the volume bar. I've tried cleaning the port and it's still stuck in that mode." If your iPhone thinks headphones are in while the actual scenario is completely different, your phone will not play any music on its loudspeakers simply because your iPhone thinks headphones are plugged in and so the audio should be routed to your headphones and not to the loudspeakers. Many iPhone users have complained of this issue as they are simply unable to make use of the loudspeakers on their phones. If you're in this situation, you'll probably want to get out of that and start using your phone's main speakers. Fortunately, there are several ways to get around the issue and the following guide shows some of those ways for you. Part 1. Why iPhone Thinks Headphone are Plugged In? Part 2. Common Fixes "iPhone Says Headphone Are Plugged In"
Part 3. The Ultimate Solution to "iPhone Thinks Headphone are Plugged In"
Why iPhone Thinks Headphone are Plugged In? Before you start to apply the fixes, you may want to know why your iPhone says headphones are plugged in even though it is not the case. It could be that there is a software glitch on your iPhone that is making it think the headphones are plugged in. In this case, you can apply any of the software fixes to your device and it will resolve the issue for you. Sometimes it could be a hardware issue such as your headphone jack has collected dust over time and needs to be cleaned up. There are some solutions to this issue as well. Without further ado, let's to the solutions to fix the headphones issue on your iPhone. The following methods should work for iPhone XS/XS Max/XR/X, iPhone 8, iPhone 7, iPhone 6, and almost all other models of the iPhone. When you encounter the issue for the first time on your iPhone, the first thing you will want to do is force reboot your iPhone. It helps resolve many kinds of issues on your device and should work in your headphones issue, too. If you are using iPhone 6s or earlier model, then long press the home button and the sleep button till the Apple logo appears and the device restarts. If you are using iPhone 7/7 Plus, then long press the volume down and side button till the Apple logo appears and the device restarts. If you are using the latest iPhone XS, XS Max, XR or iPhone X, 8, 8 Plus, then press the volume up and down button. 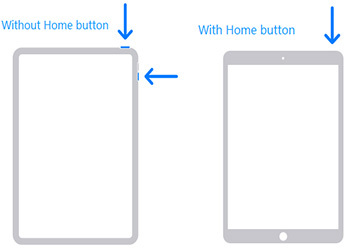 Then, long press the side button till the Apple logo appears and the device restarts. If you have been using a case for your iPhone that is not certified, it may be causing issues with your headphone jack and so you need to remove it to test if your iPhone still says the headphones are plugged in. Simply take the case off your iPhone and play a music track on your device. If it plays out of your loudspeakers, your issue is resolved. Since your iPhone thinks you have plugged in your headphones, how about you actually plug them in and then out and see if that helps fix the issue? Plug in your headphones in your iPhone and then unplug them after a few seconds. See if you can then play music files using your device's loudspeaker. Sometimes the features that have nothing to do with headphone help resolve the issue. We're talking about Airplane Mode that helps fix many kind of issues on iPhones in many cases. Open the Settings app on your iPhone and turn the toggle for Airplane Mode to the ON position. Wait for about ten seconds and turn the toggle back to the OFF position. See if that has resolved your issue. It's a clever idea to connect your iPhone to a Bluetooth speaker when your iPhone thinks the headphones are plugged in. It should help you resolve the issue and it's easy to do it. Open the Settings app on your iPhone and tap on Bluetooth. Choose a Bluetooth speaker from the list and connect to it. This is an interesting fix to apply as it requires you to play a music track while plugging in your headphones. Open the Music app on your iPhone and play a music track. Connect your headphones to your iPhone while the track is being played. Then, stop the track from playing and unplug the headphones. If you have not cleaned your iPhone for a long time, the headphone jack may have collected dust over the time and maybe that's what's causing your iPhone to think the headphones are plugged in. Use a clean cloth to gently clean the headphone jack on your iPhone. Then, play a music track and see if it plays using the loudspeakers on the device. If you're facing the iPhone 6 thinks headphones are plugged in issue only for voice calls, you can change a setting on your iPhone that will ensure the audio is routed to the right destination. Launch the Settings app on your iPhone and head to General > Accessibility > Call Audio Routing and choose Automatic. It will then automatically choose the destination for your voice calls. If a lot of changes have been done to the settings of your iPhone, something from those settings may be causing the issue. In that case, it's highly recommended that you reset all the settings on your iPhone. To do that, open the Settings app and head to General > Reset and tap on Reset All Settings. If none of the above methods worked for you, you may want to pay a visit to an Apple Center as they will be able to help you out. Usually someone at the Center will figure out the issue and do the needful to fix the device. Step 1: Download and launch the tool on your computer. Connect your iPhone to your computer and click on Repair Operating System in the software. Step 2: Click on Start Repair and you will be asked to either import firmware or download firmware for operating system repair. Step 3: After downloading the firmware package, click on Repair Now to start repairing your device. If you've been having the "my iPhone thinks headphones are plugged in" issue, the above should help you fix it on your device. 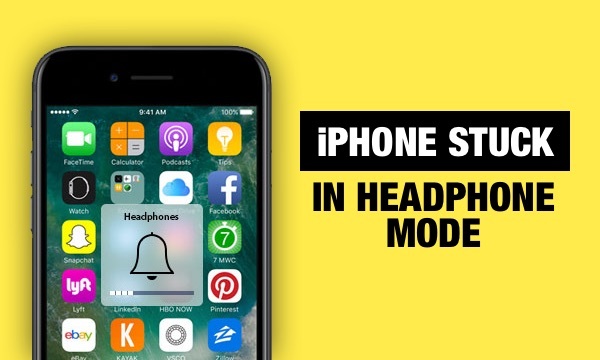 If your iPhone thinks headphones are in and you can't use your loudspeakers, the above guide should help you fix iPhone stuck on headphone mode. 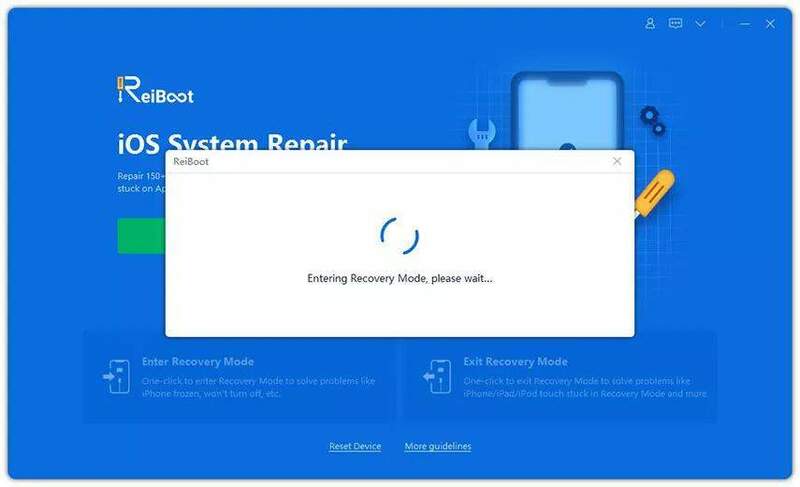 If it's a serious OS issue, ReiBoot will help you fix it on your device.